Free download - programs for Windows 4Videosoft iOS Data Recovery, CardRecovery, My HDD Speed, Remo File Eraser, My Watermark, Remo Duplicate Photos Remover, NowSmart Cut, My Duplicate File Finder, Remo Drive Wipe, @Max SyncUp Free download! 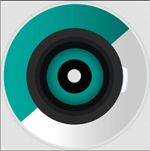 »» Free download 4Videosoft iOS Data Recovery! 4Videosoft iOS Data Recovery ::: a computer program that allows users to recover deleted files. Using 4Videosoft iOS Data Recovery, you can recover lost or deleted data from iOS devices. 4Videosoft iOS Data Recovery is very useful to recover photos, video files, audio files, documents, etc. CardRecovery ::: a computer program used for data recovery. Using CardRecovery can recover deleted, accidentally deleted or lost data. CardRecovery is primarily used to recover deleted photos from memory cards used in mobile phones or cameras. »» Free download My HDD Speed! My HDD Speed ::: a computer program that allows users to see what speed a hard disk has. Using My HDD Speed, you find out the actual speed of writing and reading of all the hard drives on your computer. My HDD Speed is a very simple utility, it only shows the speed of installed hard drives. »» Free download Remo File Eraser! Remo File Eraser ::: a computer program that allows users to erase data. Using Remo File Eraser you can delete the files permanently. Remo File Eraser makes irretrievable any kind of deleted data. »» Free download My Watermark! My Watermark ::: a computer program that allows users to apply watermarks to photos. Using My Watermark you can place different types of watermarks on your photos. My Watermark is a simple, safe, stable and effective software to apply watermarks. 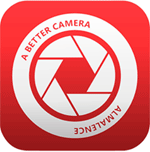 »» Free download Remo Duplicate Photos Remover! Remo Duplicate Photos Remover ::: a computer program that allows users to detect duplicate photos. Using Remo Duplicate Photos Remover can detect and remove all duplicate photos from your computer or phone. Remo Duplicate Photos Remover scans and detects duplicate photos saved in different folders or formats. »» Free download NowSmart Cut! NowSmart Cut ::: a computer program that allows users to create ringtones for phones. Using NowSmart Cut you can convert any song you want into a ringtone. NowSmart Cut allows you to cut parts of audio files or extract audio tracks from video files. »» Free download My Duplicate File Finder! My Duplicate File Finder ::: a computer program that allows users to detect duplicate files. Using My Duplicate File Finder can clean your hard drive of all the duplicate files. My Duplicate File Finder is a simple, stable and useful program to find duplicate files. »» Free download Remo Drive Wipe! Remo Drive Wipe ::: a computer program that allows users to permanently delete data. Using Remo Drive Wipe can permanently delete all data on the hard disk. Remo Drive Wipe is very useful when you want to sell your hard drive or computer. »» Free download @Max SyncUp! @Max SyncUp ::: a computer program that allows users to synchronize files and folders. Using @Max SyncUp you can compare, synchronize and backup your data. @Max SyncUp is a simple, stable, safe and useful software.